We are the High Council of Ornack. We are here to help all who reside on Gaia at this time, “all who have ears to hear and eyes to see”, by this we don’t mean those two physical senses only. We mean psychically and intuitively through their abilities of accessing impressions, words & sight through their etheric and auric body fields. There is so much more to the statement of which Jesus spoke than the human 3D physical and mental has understood. ALL have the eyes to see and the ears to hear. They just have to be cognizant of which we speak. Once the awareness comes, then the sight and hearing has room to arrive to the humans way of understand also. Any time you hear or see a thing, take a moment and check it out psychically and intuitively. All humans can do this, even those of you who say you have not special abilities. These are NOT special abilities available only to a few selected ones. These ARE your abilities and have always been. You, most of you, just don’t recall them at all; much less think you can re-awaken and activate them for the purpose of helping and guiding yourself while you are occupying your current “home” on Gaia. Gaia and all of the deities and beings of light can easily communicate with you through your re-awakened abilities. We honor and always respect any choices or decisions you wish to make as human over shells that cover your light bodies. All is up to your own path of choosing. Just remember you, each of you, are here on Gaia at this amazing time of transformation, transformation for ALL because, again, ALL are connected. So if one of you accepts and re-awakens to your powerful and outstanding abilities, it assists others to do the same without much effort. 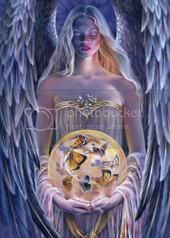 You have chosen to be incarnated on Gaia now so that you will re-awaken and step forward into your full light awareness, your full knowledge of who you truly are. This we honor and send much love to assist you on your journey of returning home with your mission successfully completed. We and all the beings of light, along with Gaia, are grateful.